There are certain things which are called impossible and when anyone makes them possible with their efforts and talents, everyone appreciates them. Making a movie is the most difficult thing as is making it a success. 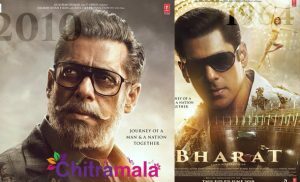 Movie-makers sometimes remake movies just to be in a safe zone but there are certain bigger hits making of which in another language is a herculean task as it is very hard to create the same feel and pace in another language with a whole new cast and crew. Chandoo Mondeti as a director and Naga Chaitanya as lead actor made that possible with their ‘Premam’ which is a remake of blockbuster ‘Premam’. 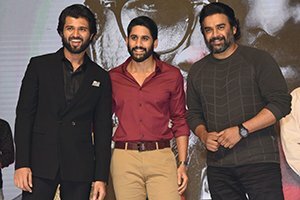 They succeeded in making the magic again and they once again teamed up for “Savyasachi” under Mythri Movie Makers banner. The movie has already created enough buzz and lets see how it works. Vikram Aditya (Naga Chaitanya) survives from a huge bus accident in Kullu Manali. He lives with his sister and her husband who have a daughter named after his mother. Vikram is very much connected with the child, Maha. During his college days, he loves Chitra (Nidhi Aggarwal). He goes away on business when she is about to propose to marry him and meets after six years, which is in the present, during a professional meet. They both go to New York on some work and when they return he comes to know that his house was blasted due to gas cylinder leakage and only his sister survives. He comes to know something about the blast and what is that news? What happens with his family? These questions form the rest of the story. Naga Chaitanya as Virkam Aditya is nice. He gave his best whenever required and his energy in doing the songs is nice. Nidhi Aggarwal did a good job in her role. She has such a beautiful look and it has been used very well in her scenes. Madhavan has done a fantastic job in his role as an antagonist. Vennela Kishore, Shakalaka Shankar, Sudharshan Reddy and others did good work in making audience laugh. The story of this Savyasachi has nothing new except for the concept of Alien hand syndrome. Screenplay is okay, so are dialogues. Songs composed by MM Keeravani are nice and they are already popular among the audience. His background score for the scenes is very good. Cinematography by Yuvraj is nice. Editing could have been a lot much better. Action sequences have been well composed. Movie production standards have been maintained well. Savyasachi is a story of a hand which helps the concerned person in his weakest of time. When a different concept like Alien Hand Syndrome has been projected as the selling idea during the movie promotion campaigns, one would expect an innovative and engaging story. Savyasachi fails to fulfil this expectation. The concept of Alien Hand Syndrome has not been explored fully in this movie, except for comedy and action sequences. It is just another story like a normal Telugu masala film or a commercial one and it seems so routine issue that it fails to engage audience. 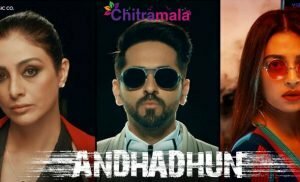 Entire first half goes into setting up of the story and the characters, which don’t have a captivating screenplay except for a few comedy sequences and the second half runs on mind-game between Vikram and Arun. This mind game doesn’t have an engaging screenplay either. An acclaimed actor like Madhavan has been under-utilised for his skills with the character given to him to play and he is limited only to being seen talking on phone all the time except for in a couple of sequences. To sum up, Savyasachi is just another routine commercial film which doesn’t engage us well all way through.